Road traffic accidents and their related deaths have become a major concern, particularly in developing countries. Iran has adopted a series of policies and interventions to control the high number of accidents occurring over the past few years. In this study we used a time series model to understand the trend of accidents, and ascertain the viability of applying ARIMA models on data from Taybad city. This study is a cross-sectional study. We used data from accidents occurring in Taybad between 2007 and 2011. We obtained the data from the Ministry of Health (MOH) and used the time series method with a time lag of one month. After plotting the trend, non stationary data in mean and variance were removed using Box-Cox transformation and a differencing method respectively. The ACF and PACF plots were used to control the stationary situation. The traffic accidents in our study had an increasing trend over the five years of study. Based on ACF and PACF plots gained after applying Box-Cox transformation and differencing, data did not fit to a time series model. Therefore, neither ARIMA model nor seasonality were observed. Traffic accidents in Taybad have an upward trend. In addition, we expected either the AR model, MA model or ARIMA model to have a seasonal trend, yet this was not observed in this analysis. Several reasons may have contributed to this situation, such as uncertainty of the quality of data, weather changes, and behavioural factors that are not taken into account by time series analysis. 1. Mohammadi G. Prevalence of seat belt and mobile phone use and road accident injuries amongst college students in Kerman, Iran. Chin J Traumatol 2011; 14: 165-9. 2. Aderamo AJ. Assessing the Trends in Road Traffic Accident Casualties on Nigerian Roads. Journal of Social Sciences 2012; 31: 19-25. 3. Peden M, Scurfield R, Sleet D, Mohan D, Hyder AA, Jarawan E, et al. World report on road traffic injury prevention. World Health Organization Geneva; 2004. 4. Bayata HF, Hattatoglu F, Karsli N. Modeling of monthly traffic accidents with the artificial neural network method.Int J Phys Sci 2011; 6: 244-54. 5. David B, Adnan H. Modeling the cost effectiveness of injury interventions in lower and middle income countries: opportunities and challenges. Cost Eff Resour Alloc 2006; 4: 2. 9. Naghavi M, Shahraz S, Bhalla K, Jafari N, Pourmalek F, Bartels D, et al., Adverse health outcomes of road traffic injuries in Iran after rapid motorization. Arc Iran Med 2009; 12: 284-94. 11. Box GEP, Jenkins GM, Reinsel GC. Time series analysis: forecasting and control. Wiley; 2011. 13. Liu C, Chen CL. Time Series Analysis and Forecast of Crash Fatalities During Six Holiday Periods. Washington, D.C. : National Center for Statistics and Analysis; 2004. 15. Wen J, Yuan P, Deng ZH, Liu KL, Zhang YK, Liu LK. [Time-series analysis on road traffic injury in China]. Sichuan Da Xue Xue Bao Yi Xue Ban 2005; 36: 866-9. 16. Zolala F, Haghdoost AA. 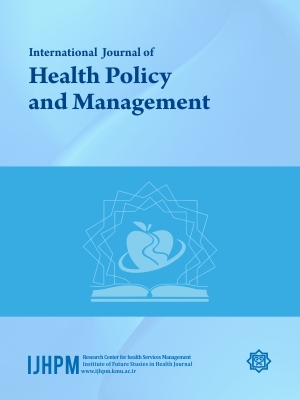 A gap between policy and practice: A case study on maternal mortality reports, Kerman, Iran. Int J Prev Med 2011; 2: 88. 18. Abdolreza N, Omalbanin A, Mahdieh TS, Mohammad Ali MR, Reza MS, Maryam S, et al. Comparison of the number of patients admitted with renal colic during various stages of peri-ramadan month. Saudi J Kidney Dis Transpl 2011; 22: 1199-202. 21. Moolgavkar SH, Luebeck EG, Hall TA, Anderson EL. Air pollution and daily mortality in Philadelphia. Epidemiology 1995; 6: 476-84.